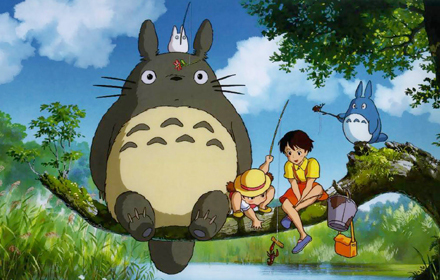 What could be cuter than the real Totoro? TOTORO CUPCAKES! My mom came up with this "recipe" using techniques from the book What's New, Cupcake? by Karen Tack, and Alan Richardson, as well as some internet inspiration. 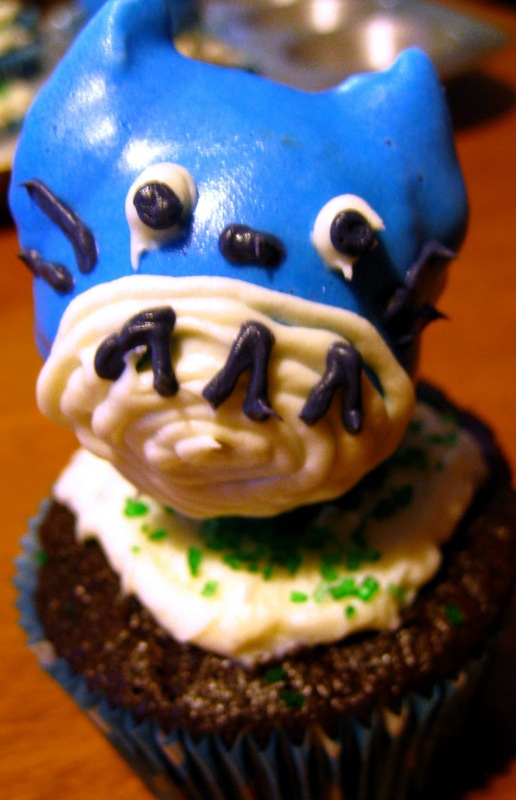 Bake cupcakes as usual, cool. Stick donut holes on toothpicks and stand up on styrofoam. Chill. 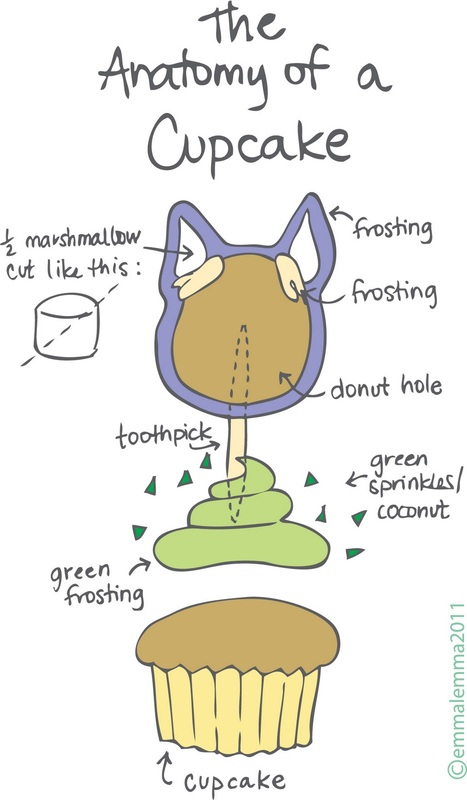 Mix frosting with green food coloring and pipe onto cooled cupcakes. Dust cupcakes with sprinkles or the topping of your choice. In a microwavable container, mix blue food coloring into some frosting. Heat in microwave a few seconds, stir, repeat until consistency coats back of spoon. 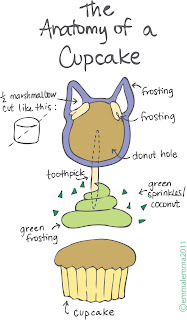 Remove chilled donut holes and dip into melted frosting, coating completely. Drizzle some on to fill in any missed spots. Return to styrofoam and chill. Mix up some black frosting, put it and white frosting into piping bags with small, round tips. When donut holes have set-up, pipe on belly and eyes with white frosting, and the pupils, belly markings, nose, and whiskers with black. 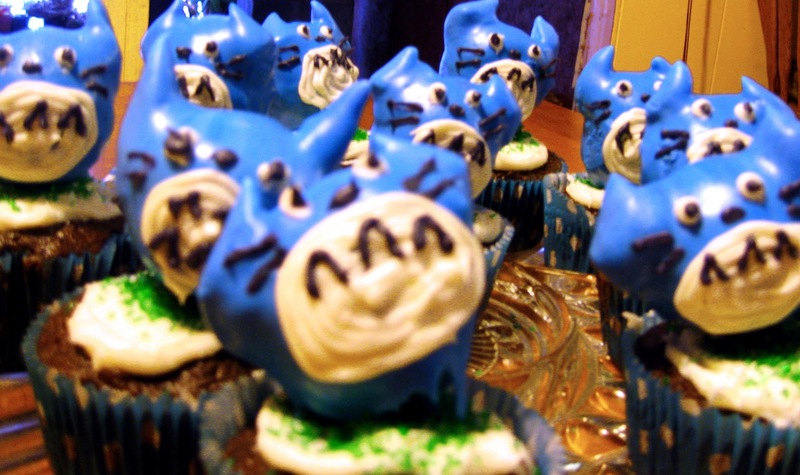 Stick onto cupcakes with toothpick. 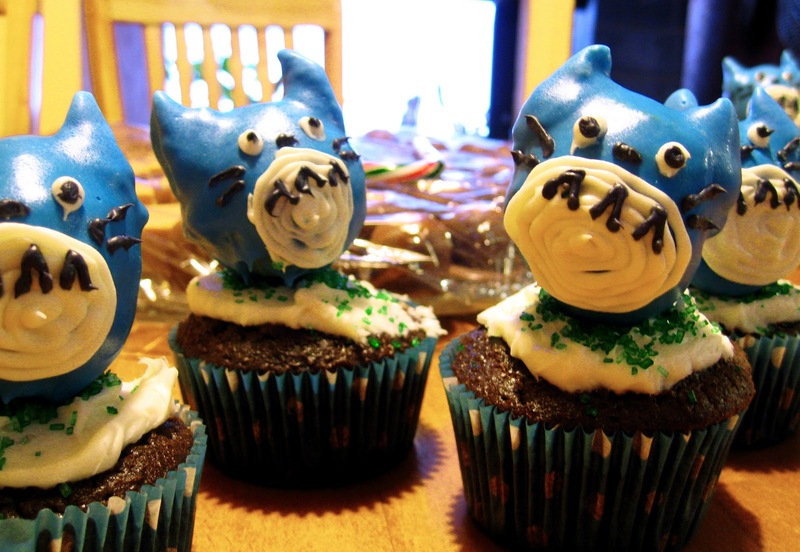 Look at how cute they are and EAT!